Please note that the content of this book primarily consists of articles available from Wikipedia or other free sources online. 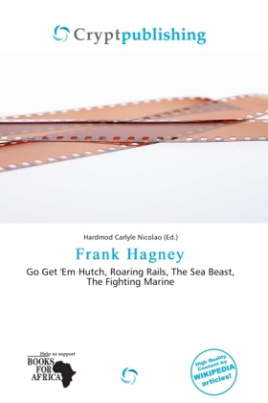 Frank Hagney (20 March 1884 25 June 1973) was an Australian actor. He appeared in over 350 films between 1919 and 1966. He was born in Sydney, Australia and died in Los Angeles. Selected filmography: Go Get 'Em Hutch (1922), Roaring Rails (1924), The Sea Beast (1926), The Fighting Marine (1926), Vultures of the Sea (1928), The Phantom of the West (1931), Fighting Caravans (1931), Ride Him, Cowboy (1932), Conflict (1936), Dr. Jekyll and Mr. Hyde (1941). It's a Wonderful Life (1946).